Our First Neighborhood July 4th Kids’ Parade! The FUN committee has been hard at work planning the first parade in our neighborhood. Mark your calendars, save the date for the 4th of July Kids’ Parade and Festivities. 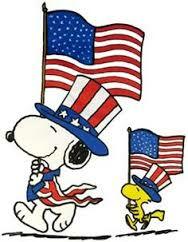 This year we are combining the Ice Cream Social with a children’s patriotic parade. Font Hill Community children and grandchildren, ages 0 – 13. In Font Hill drive by Font Hill Park. Since this is our first parade, it will be short in length but it should be fun. This map shows the route and where the participants should go. Parade participants need to decorate in a patriotic theme a wheeled vehicle – bicycles, skates, strollers, tricycles, scooters, wagons, etc., and themselves. 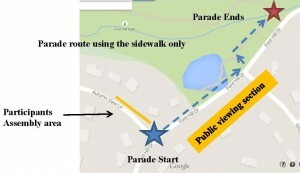 Parade participants need to check in at the START of the Parade 10:30 a.m. to 10:45 a.m. Each participant will be given an entry number lienard. There will be judges along the parade route and they will pick the best decorated and most patriotic parade entry in different age categories. Winners will be announced at the end of the parade, prizes will be given to the winners. Mom’s or family members parading with children should also show some patriotic decorating. The Parade starts at 11 a.m.
We will play the National Anthem to start the parade, followed with patriotic marching music along the parade route. Festivities start after the Parade from 11:30 a.m. to 2 p.m.
All participants and attendees will be treated to Ice Cream (FREE), thanks to the paid members in our community who are sponsoring the event. There will be fun games and activities for children. Games include; bean bag tossing, ping-pong bucket tossing, hula hoop contest (please bring a hula hoop), freeze dance, Simon says, and others. As in previous ice cream social events, there will be a table with ‘guess how many?’ candies in the jar and the weight of the watermelon. There will also be a membership table where you can Join the Font Hill Neighborhood Association, it is only $20, bring cash or a check. We encourage you to JOIN so we can have more events with FREE goodies. To Promote Community Spirit Through FUN Events and Activities, that is the goal and mission of the FUN committee. We encourage you to join us even when you don’t think you have time, you could be one of our ambassadors to spread the word. We want to hear your ideas and suggestions.